Offer OPEN to ALL Current and NEW patients at CHC LEE In January and February 2019 ! Help bring your body back into balance ! Try out this therapeutic massage, rooted in Taoist principles and Chinese medicine. 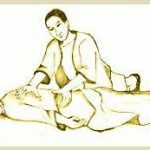 This hands-on therapy uses a variety of techniques to help align your body, can be used to treat a range of musculoskeletal conditions and promotes your health and wellbeing.